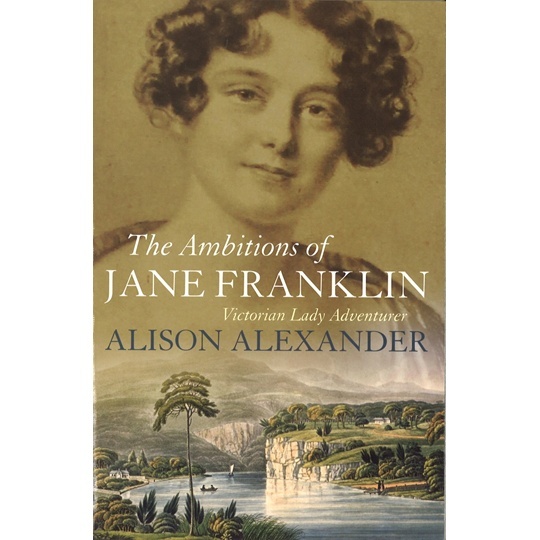 Alison Alexander, author of the biography The Ambitions of Jane Franklin, reflects on the life of this adventurous nineteenth-century lady as part of VIDA’s inspirational women series. There is a reason that today most history recalls fewer names of influential women than men. How many intelligent and competent women must have chafed at the restrictions society put on them over the centuries: confining them to domestic life, left in charge of their own little domain – with ‘little’ being the important word. While men went out and ruled the nation, women ruled over children and servants (that is if they had any). That was the ideal anyway, and for many women it was more or less their reality. Yet despite all the difficulties, during the late eighteenth and early nineteenth century some women managed to step out into the public sphere in order to achieve. Mainly this was in relation to the arts, as writers and painters. A few others boldly took up social and political causes, achieving fame as advocates for an overhaul of the systems that had produced social and gender inequalities. Some women however, became skilled at working within the system to achieve their own private ambitions, to live life on their own terms. This is the story of one such woman. A: A science more sublime than physics. She supplemented this pseudo-learning by wide reading, and all her life was interested in the questions of the day, in literary and especially political developments. Efficient, organised, hard-working: today, perhaps she could have been the head of a large multinational. A relative once said that Jane’s one desire in life was fame. In her day, what options were there? She was no artist or musician. She wrote at great length – voluminous diaries, letters, commentaries, copies of works she admired – but always said she would never write a book, and she did not. Perhaps she realised that her writing style was, to be blunt, pretty boring. Too much detail, convoluted sentences, a sort of flatness. But there was one perfectly acceptable way for a woman to achieve fame: by marriage. 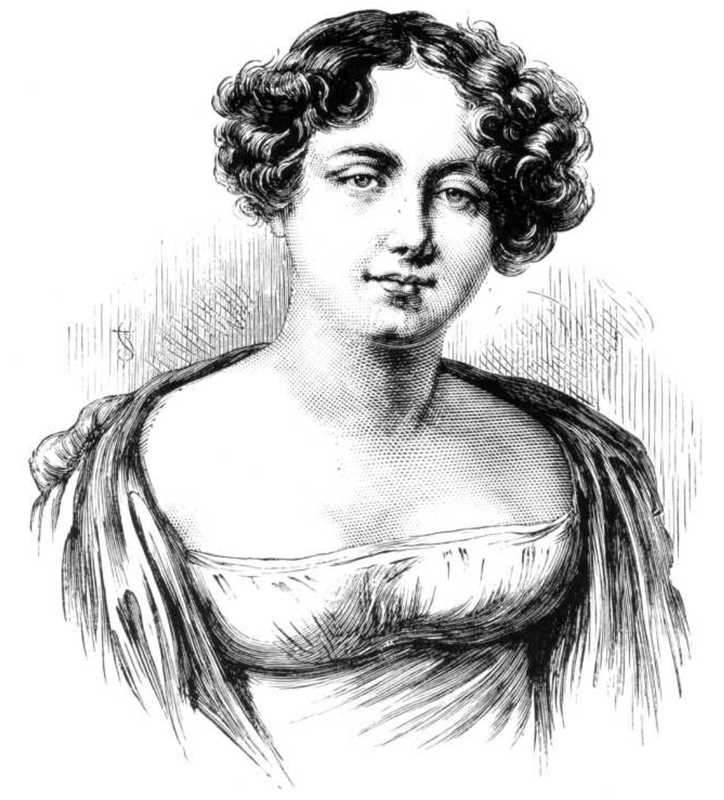 Lady Jane Griffin (Franklin) (1791-1875), engraving. Image via Wikimedia Commons. Jane and her sisters, all attractive, upper-middle-class girls with a moneyed father, were expected to marry at about twenty, and bring up their own families. The youngest did, but Jane and her older sister Fanny enjoyed a life of travel around Europe in summer, residing the rest of the year in London with its lectures, art exhibitions, concerts, parties, balls and flirting. Jane loved flirting, and her diary is extremely tedious, a long saga of ‘I said’ and ‘he said’ and ‘she said’, furious crossings-out and so on. At least six men asked her to marry them, but she refused them all (in long-drawn-out agony for the reader) until finally, aged 36, she chose John Franklin. He was 42, middle-aged, stout, balding, modest, not overbright and the epitome of ordinariness in his person – but he was a famous explorer in the British navy, back from trying to find the Northwest Passage, his book about it a best seller. They married in 1828. Jane now set about making John even more famous. Fortunately he was malleable: ‘you have only to make known your wishes and they are obeyed’, he wrote to her, and he kept up this attitude throughout his life. Jane was perfect. Perhaps he never got over the fact that this clever, quicksilver woman married him. First came a title. John had to brave the head of the British navy to ask for this, and it seems unlikely that this modest man would have done so without being pushed. But he did, so they became Sir John and Lady Franklin. Never Lady Jane. I’m fighting a long but losing battle against this one. She was ‘Jane’ only to John and a few very close relations. Even nephews and nieces called her ‘Aunt Franklin’. This is not mere trivia. ‘Lady Jane’ has a friendly, easygoing air, but she was formal, keep-your-distance ‘Lady Franklin’. However delicious the flirtation with Johann, Jane must have realised that her only possible future lay with John. Divorce was next to impossible, and would have destroyed her reputation, her position in society. So back she went, to find another position for John, if possible more important. Governor of Antigua? No, it was too unimportant, the pay too little. Governor of Van Diemen’s Land? Much better – more important, the pay double. They arrived in 1837. As the governor’s wife, Jane could do more or less what she wanted, and she threw herself into activity. She tried to improve the colony with a scientific society, a scientific journal, a superior boys’ college, a botanical garden, a museum, an art gallery, an estate for yeomen farmers in the Huon. She paid a shilling a head to get rid of snakes. She adopted Aboriginal children to see what happened when they were ‘civilised’ – though she paid them little attention herself, leaving the ‘civilising’ to others. She went exploring, to the Australian mainland and New Zealand. And because poor John was no politician and relied on an adviser, she tried to be that adviser. She wrote despatches for him, discussed everything with him, and ran into trouble – for Sir John’s enemies, this was a gift, a woman meddling in politics, excellent grounds to criticise the pair in London. Partly for this reason, John was recalled in 1843, and went home to head the British government’s last great expedition to find the Northwest Passage. He disappeared, and Jane made her name as a devoted wife trying to find her husband, famed throughout the western world for her determination, sending her own expeditions, urging the Admiralty to do more – all in that most ideal occupation for a woman, searching for her lost husband. Johann Lieder must have had a quiet smile. 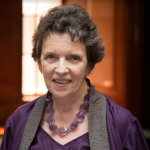 Alison Alexander has written 28 books, mainly commissioned histories of Tasmanian institutions, areas and community groups. 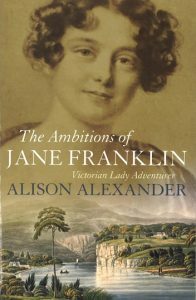 These earned her a living, but she mainly likes writing biographies: The Ambitions of Jane Franklin (2013), which won the 2014 National Biography Award, and biographies of Marie Bjelke Petersen (lesbian romance novelist), Mary Grant Bruce (children’s author), and Edward and Maria Lord (dominant settlers in early Hobart).